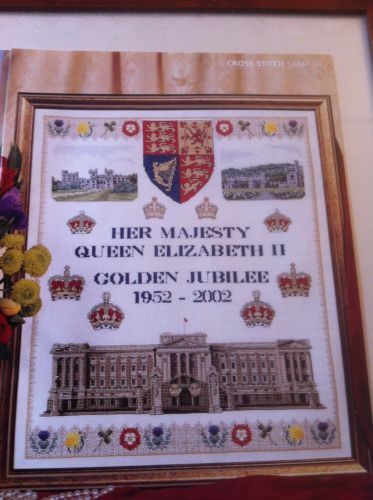 From Mary Hickmott, a golden jubilee cross stitch sampler chart featuring a detailed Buckingham Palace along with other symbols of royalty. This is more classic than the magazine chart shown last week, in its treatment of the images and its choice of font. Unlike some, it could be adapted to being a diamond jubilee sampler with only a small amount of tweaking.